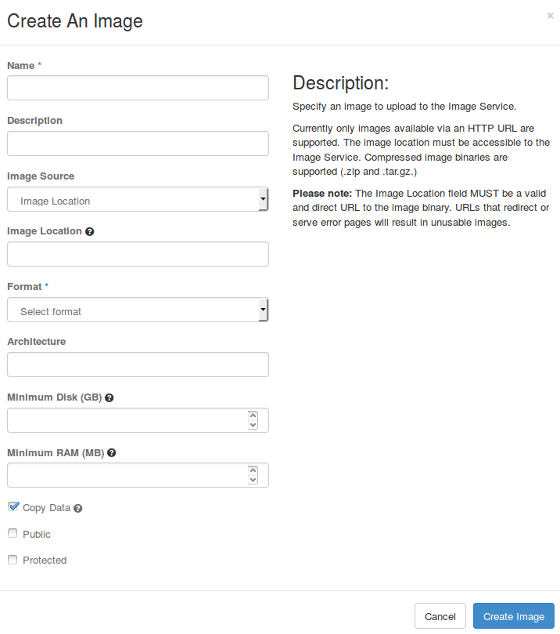 Image File or Image Location Based on your selection, there is an Image File or Image Location field. You can include the location URL or browse for the image file on your file system and add it. Format Select the image format. Public Select this option to make the image public to all users. Protected Select this option to ensure that only users with permissions can delete it.